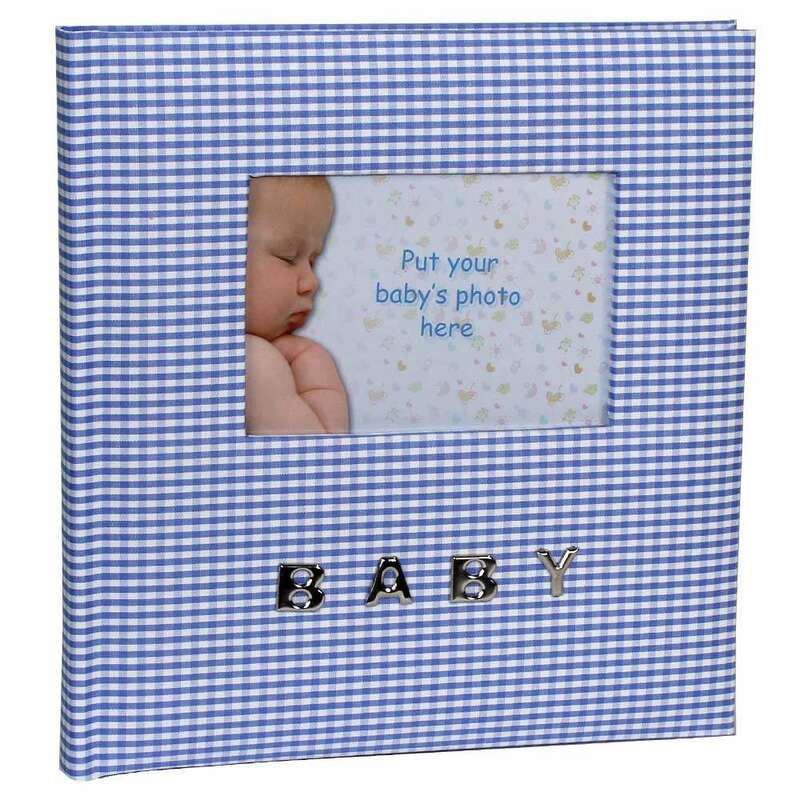 The tiny checks on the cover of this album are in a gorgeous light blue and the word 'Baby' is written in silver letters and stuck underneath the aperture, which measures approximately 4.5 x 3 inches overall. At 8 inches square it is extremely compact and because it only takes 100 photos, it doesn't take long to fill. Each page is a pale blue, with little baby items drawn on and there is a memo area at the side of each pocket on which to write notes. 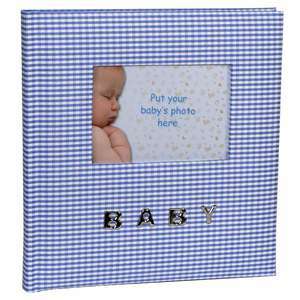 The high quality clear plastic pockets, display the photos in landscape format one above the other, two per side and the large pocket on the back of the front cover is where the single photo goes, that is displayed on the front cover; perfect for multiple photo albums, where you want to pick the correct one to show. 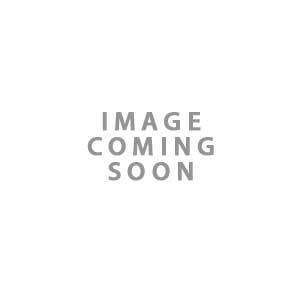 The album comes with a plastic dust jacket to keep it clean when not being used.